This entry was posted on October 31, 2015 at 12:55 am	and is filed under Game Review, Medieval Military History, Other military history. 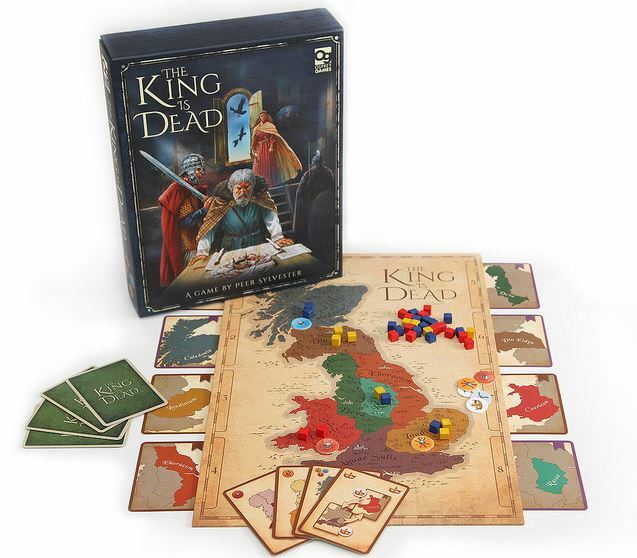 Tagged: board game, Britain, game review, gaming, King Arthur, medieval Britain, medieval history, Osprey, Osprey Games, Romano-British, Saxons, Scots, The King is Dead, Welsh. You can follow any responses to this entry through the RSS 2.0 feed. You can leave a response, or trackback from your own site. Very nice, Daniel! Thank you much! Did I send you our Cold War submarine wargame, They Come Unseen? Are you interested in that? You replied to my email and indicated you would get a copy out to me last week, so it may still be in transit, but yes, I am interested in looking at They Came Unseen. I did want to know from you if there would be a way for me to have these reviews posted on the product’s pages and if you’d object to me posting them on the Facebook page too, to get a bit more traction for the stuff. Thanks for the comment and reading the review.